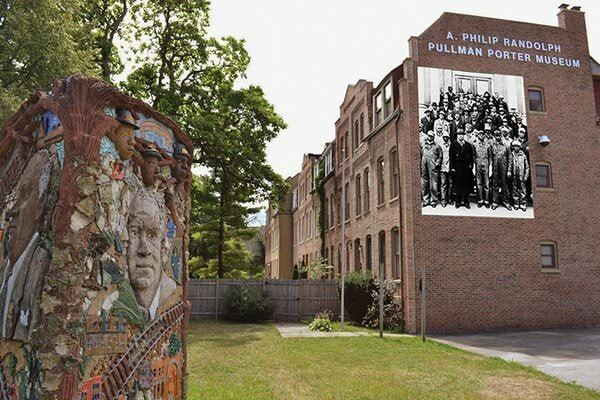 The Historic Pullman District has been designated as a National Monument site under the National Park Service. The Pullman National Monument is unique because it is a district and not a single building. See the map below of notable locations. 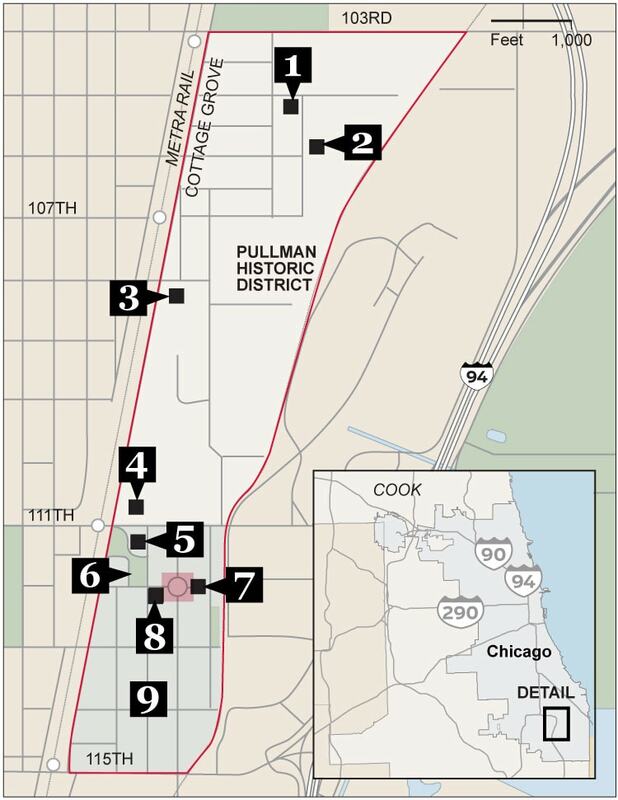 Roughly a half-square-mile on the Far South Side, The boundaries are 103rd to 115th and Cottage Grove to the bishop Ford expressway is where we are located. a monument to labor and racial history, has achieved national monument status. Pullman is not just one building , its is a district. Built in 1880 by business mogul George Pullman strategically outside Chicago’s boundaries, only to be annexed into the city later, the community included more than 1,700 company-owned houses, a church, a school and a building that housed offices, stores, a library and a bank. Here is a more detailed look at key spots in the district. A. Philip Randolph National Pullman Porter Museum: Founded in 1995, the facility is named after Asa Philip Randolph and Pullman Porters, men who made up the membership of the Brotherhood of Sleeping Car Porters (BSCP) union. APRPPM is currently the only Black Labor History museum in the nation.